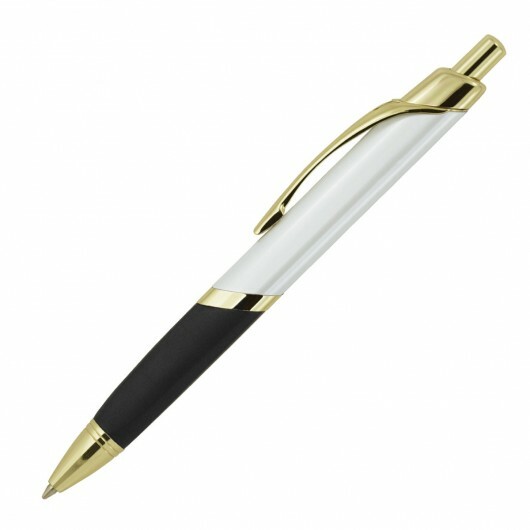 With a classic style and large ink capacity this pen excels for marketing your brand. 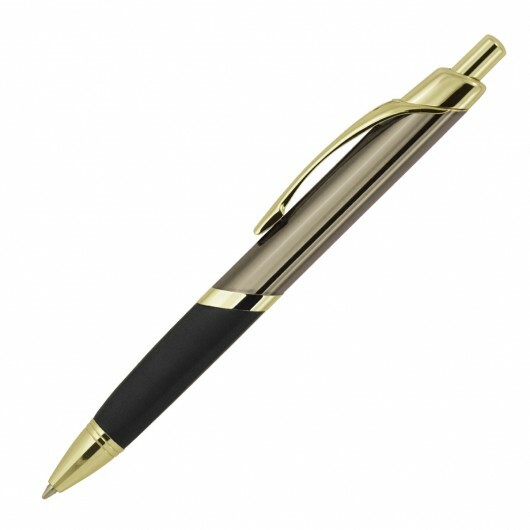 Expertly crafted the Marseille Metal Pen (Gold trim) comes styled with contrasting colours, a distinctive round-cornered triangular barrel and angled features. It also hosts a HUGE 4000m refill of black German ink so they will remain in your clients hands for longer than your average pen! The pens are available with your choice of a print or laser engraving for maximum impact.